The Composers Conference, guided for nearly 50 years by Pulitzer Prize-winning composer Mario Davidovsky, offers a unique opportunity for emerging composers, professional musicians, amateur chamber players, and conservatory-level instrumentalists and singers to come together as colleagues, audience, teachers and students in an atmosphere of fertile creativity and concentrated, high-level music making. DATES ANNOUNCED! 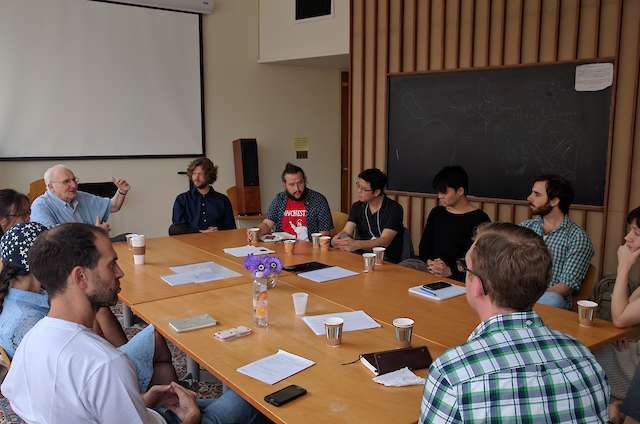 The Composers Conference 2019 will take place at Brandeis University July 28-August 11, 2019. 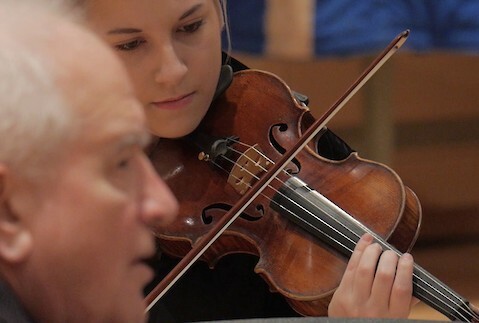 Applications for Composer Fellows, the Chamber Music Workshop, and the Contemporary Performance Institute open in January 2019. 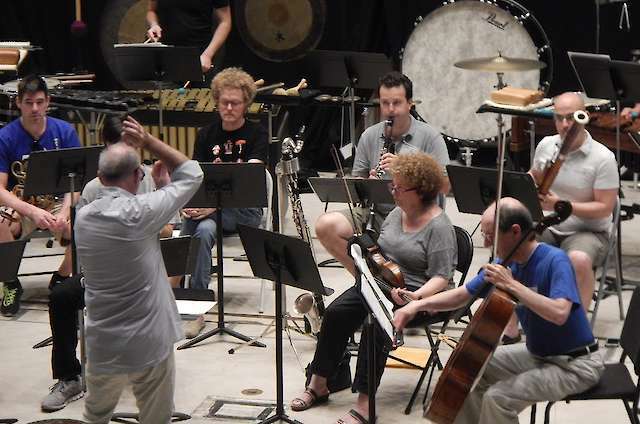 "Fertile creativity and concentrated, high-level music making"
The Composer Fellows participate in intensive seminars and public colloquia, and each has a work publicly performed and professionally recorded by the Conference Ensemble. 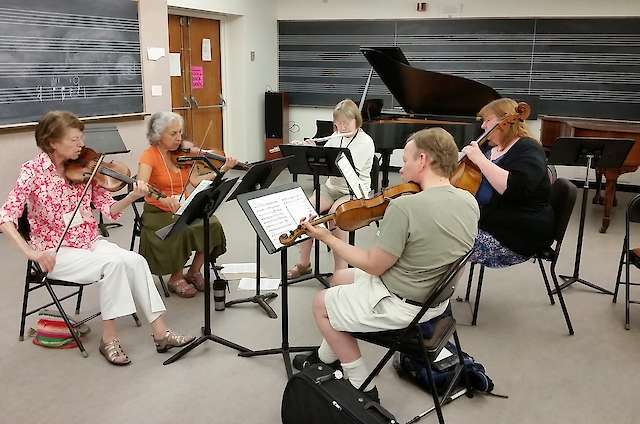 The Chamber Music Workshop offers amateur musicians daily coachings, workshops, masterclasses, ensemble readings, performance opportunities and evening concerts. Students in the Contemporary Performance Institute study, rehearse, and perform challenging repertoire of the 20th and 21st centuries. Concerts at the Conference feature classics and rarities from the 18th-21st centuries including music of the Composer Fellows and faculty. 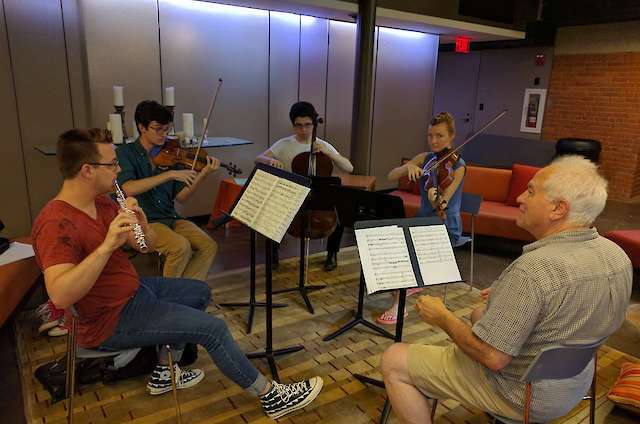 A group of con­ser­vat­ory-level stu­dents will be selec­ted to study, rehearse, and per­form chal­len­ging rep­er­toire from the 20th and 21st cen­tur­ies. Applic­a­tions will be accep­ted from sing­ers, viol­in, viola, cel­lo, con­tra­bass, flute, oboe, cla­ri­net, bas­soon, horn, per­cus­sion and piano. Pre-formed groups may also apply.